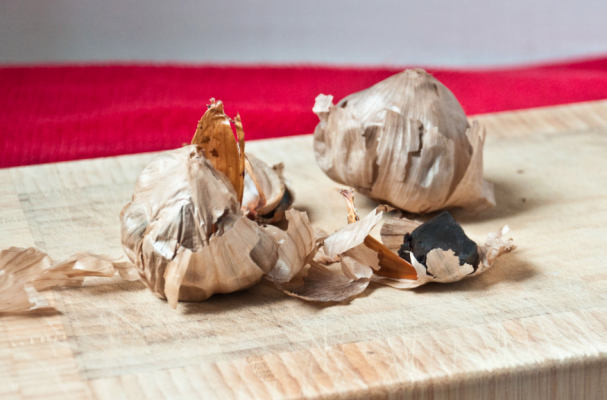 Foodista | What's Black Garlic and How Do You Cook With It? 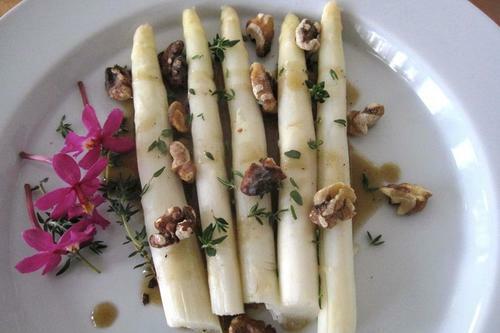 For better or worse, just like with fashion or technology, the food industry experiences fads. These trends could be categorized as a cooking method like sous-vide or a specific ingredient such as Himalayan pink salt. Black garlic is this year's "it" ingredient. This sweet, mild, molasses-like ingredient adds character and complexity to any dish. It has been hailed as a superfood with twice the amount of antioxidants compared to raw garlic. Black garlic has been around for thousands of years and used frequently in Asian cooking. Similar to roasted garlic, the onyx colored cloves become sweeter and milder with age. The bulbs are placed in a temperature controlled fermenting box and left there to do its thing for 30 to 40 days. The combination of heat and humidity transforms the pearly white cloves to black jewels. Science has since perfected this process to yield black buttery bulbs time and time again. If you are "do-it-yourself" type of person, Nordic Food Lab has a great tutorial on how to prepare this ingredient in your own kitchen. So now that you know how black garlic is made, you are really dying to know how the heck to use this intimidating yet intriguing ingredient. If you have never tried black garlic before, I suggest you cook something simple to start off with. This could be bruschetta (grilled bread rubbed with garlic), spaghetti tossed with black garlic, red pepper flakes, and parmesan cheese, or blended with oil and vinegar for a tasty vinaigrette- black garlic preparations are endless. Once you get a feel and flavor of black garlic, you can then add it to your everyday meals to change the dish's dynamics; think macaroni and cheese, mashed potatoes, pizza, burgers, roasted fish, just to name a few. If you are interested in turning up the heat in your kitchen, black garlic may just be the secret ingredient that you are looking for.